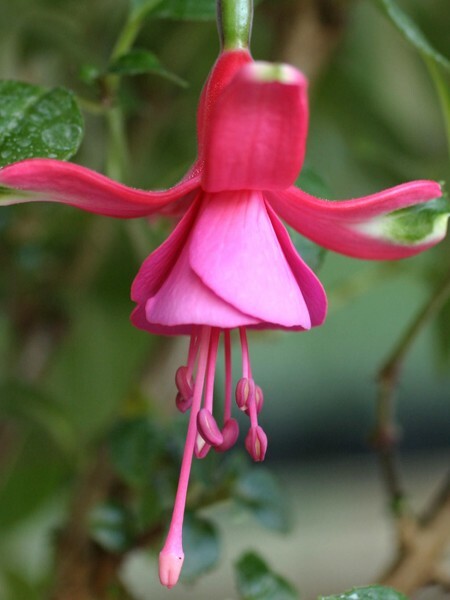 Add some delicate elegance to your hanging basket or planter with Fuchsia Shrimp Cocktail, an unusual variety celebrated for its uniquely bushy, dark green foliage. 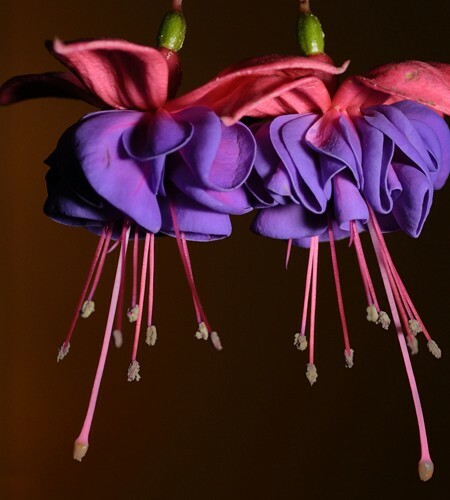 Shrimp Cocktail is one of the more popular fuchsia varieties, producing pendulous, globe-like buds which open into abundant cascades of candy-pink flowers with marbled, magenta petals. 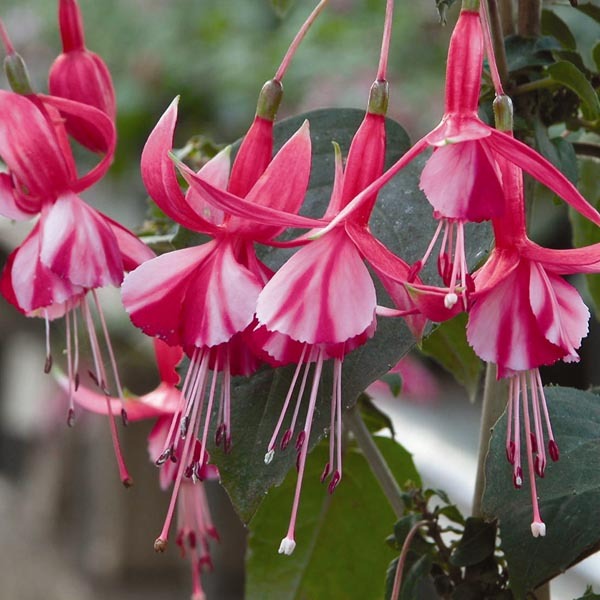 These vigorous shrubs have an extensive flowering period, blooming from June right through to October, and are fairly tolerant of most weather conditions. 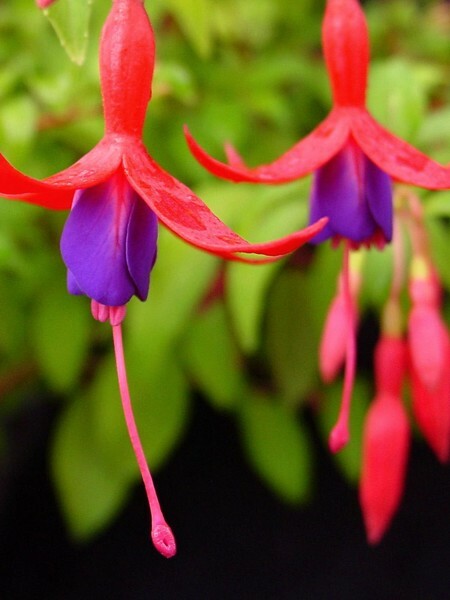 Plant in a hanging basket or wall planter for a dramatic, trailing display, or in a container on the patio, where blooms will tumble freely over the rim for a romantic, ornamental effect. Photo courtesy of Ball Seed. 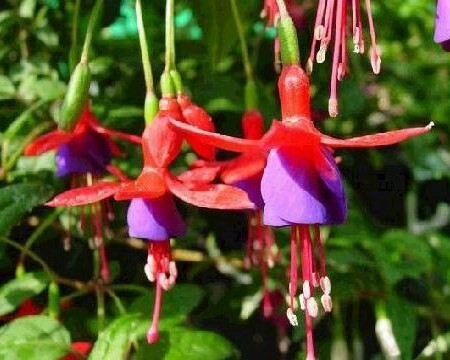 Be the first to review “Upright fuchsia ‘Shrimp Cocktail’” Click here to cancel reply.